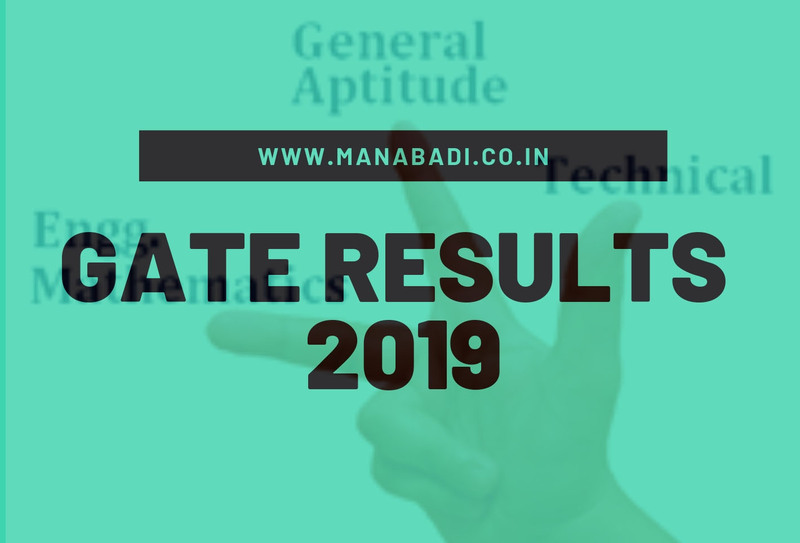 IIT Madras will announce the GATE 2019 result on March 16 for all the 24 papers. Candidates will be able to access the GATE result 2019 through Manabadi and GOAPS. Candidates who have appeared for GATE can check the marks and scores obtained by them in the same. GATE 2019 result is used to apply for admissions to the M.Tech programmes at the IITs, NITs and GFTIs. The scorecard, however, will be available from March 20, 2019, onwards till May 31. Candidates must note that they can download the score card of GATE only if they have qualified in the entrance exam. Candidates can check the requisite information pertaining to GATE 2019 result in the article below. GATE 2019 was conducted on February 2, 3, 9 & 10 by IIT Madras. It must be noted that the score card will be valid for a period of three years from the date of GATE result declaration. The GATE scores are utilized by many leading PSUs for recruitment purposes. The score card will be available online only from March 20 to May 31 without any fee and with a fee of Rs. 500 till December 31. Thereafter it can be obtained by candidates till the last week of December 2019 on payment of Rs 500 through net banking/debit or credit cards. How to Check GATE Result 2019? Enter the GATE enrolment number or email id, registration id and DoB. The result tab will be displayed. Click on the same for the display of the GATE 2019 result. It should be noted that the facility to print the result will not be available. All India Rank (AIR) (only for qualified candidates). The GATE 2019 score card is the official document that certifies the qualification of candidates in GATE. The score cards will be issued only to candidates who have scored equal to or more than the qualifying cutoff which is the minimum marks to pass the exam. The score card will be available for download from March 20 to May 31, 2019. GATE Cutoff will be published soon after GATE Result is declared in March 2019. GATE Cutoff is the minimum marks that a candidate must secure to qualify GATE. The cutoff for GATE is declared stream-wise and varies according to candidateâ€™s category. Note that GATE Cutoff for PSUs will be different and will be released separately for each GATE Participating PSU. Based on this cutoff, GATE Participating Institutes will publish their merit list for M.E./ M.Tech. Admissions 2019. GATE qualified candidates will also be eligible for Government offered scholarships, stipends and allowances.